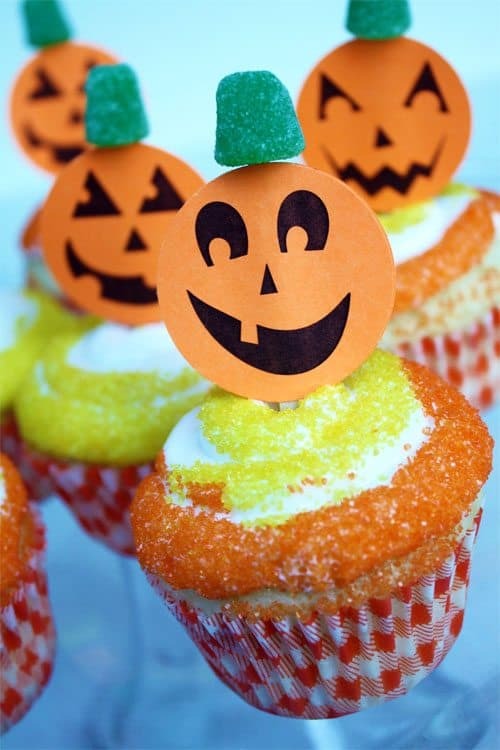 Here is a super quick and festive treat for Halloween! 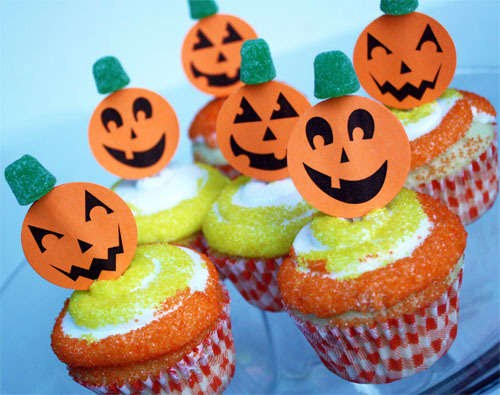 Download our free printable jack-o’-lantern cupcake picks for some yummy fun! 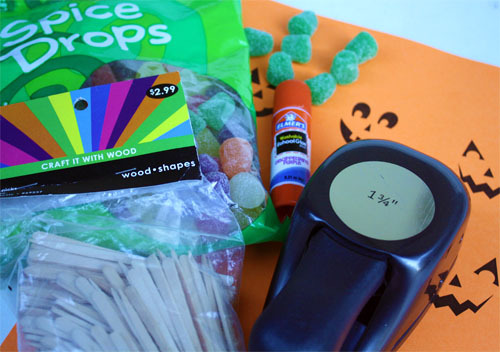 Place a green gumdrop on top of the wood stick. Glue two circles together with the wood stick sandwiched in between. A plain circle can be used for the back circle. 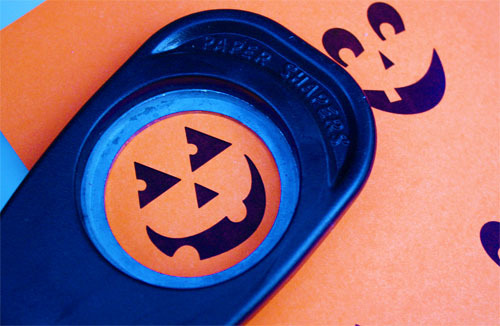 You can whip up a whole pumpkin patch!